In Action in Iceland. The Ruin Memories Team Explores Four Sites. 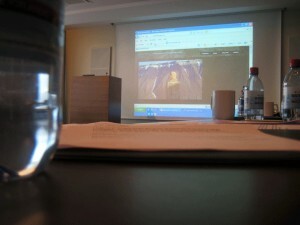 The Ruin Memories team gathered recently in Reykjavík, Iceland for an intensive two-day workshop. The British military base at Hvítanes in Hvalfjörður fjord. Botnsskáli, an abandoned gas station in Hvalfjörður. Miðsandur, a US military base now used by Icelandic whalers, located opposite Hvítanes in Hvalfjörður. Deildartunguhver, a hot spring located by Deildartunga farm in Reykholtsdalur valley. This entry was posted on Thursday, December 23rd, 2010 at 16:35. It is filed under Uncategorized. You can follow any responses to this entry through the RSS 2.0 feed. Yes – all carefully chosen to fit our interests and needs on a one day adventure! So, also practical reasons, as dull as it may sound. But the sites are amazing! Where is the site you photographed?